by Hawthorne, Nathaniel, Person, Leland S.
Hawthorne, Nathaniel, Person, Leland S.
The text of The Scarlet Letter is based on the 1850 third edition, the first set in stereotype plates and the basis of subsequent printings in Hawthorne "s lifetime. 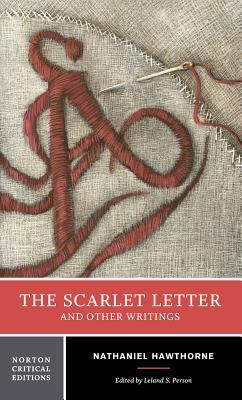 An invaluable selection of contextual material includes five Hawthorne stories that are closely related to The Scarlet Letter, along with relevant letters and notebook entries. A substantial excerpt from Hawthorne "s campaign biography of Franklin Pierce offers a revealing glimpse at Hawthorne "s political thought, especially regarding slavery and abolition. "Criticism" provides a comprehensive overview of early and modern commentary on The Scarlet Letter and the stories in this edition, including nineteenth-century reviews of the novel and critical essays by Robert S. Levine, Nina Baym, Larry J. Reynolds, and Jean Fagan Yellin. A Chronology and Selected Bibliography are also included.Hawthorne, Nathaniel is the author of 'Scarlet Letter And Other Writings Authoritative Texts, Contexts, Criticism', published 2004 under ISBN 9780393979534 and ISBN 0393979539. Loading marketplace prices 41 copies from $0.71 How does the rental process work?